First off, let me just say that stage fright isn’t a bad thing. Matter of fact, the better you are, the more you might experience it. It means that you care and are serious about how you’re coming across as a performer. And ultimately, that’s good. But sometimes, excited jitters turn damaging. Here’s how to get out of your head, redirect your energy and put on a great show, despite your nerves. Your songs should be so deeply rehearsed that your breath patterns, physical movements, chord changes and solos ingrained into your physical being. Some artists fight me on this one, but usually the procrastinators. The reason this is so critical is you don’t want to exert any mental energy on the technical side of your performance! Why? Because once you bring something to the stage in front of an audience, your job is to be making an emotional connection to them, not trying to remember your chords or lyrics. But what if you do prepare and you’re still scared before the show? You still feel shakes in your hands and you suddenly have to pee every five minutes or worse, or get cotton mouth, or your mind starts moving to an alternate universe depression-town where nobody cares whether you play or not and the sound guy thinks you’re stupid and why did you decide to do this anyway? Guess what? Even big stars have these moments. Yep. Adele admits that she sometimes “projectile vomits” before important shows. Barbara Streisand suffers from stage fright so much that she didn’t perform for many years. 2. Make it About Them. In case you’d forgotten, music is a service industry. Your job is to give the audience an experience. What makes it art is that you get to create that experience. Think about it. What experience are you creating? What benefit do people get from coming to one of your shows? (And if you’re drawing a blank here – what benefit would you like them to get? How do you hope your music makes people feel?) You can call it your Music Mission, Your Purpose or your Stage Fright Secret Weapon, but when you’re getting all caught up in your own head, you need to make it about the audience. See the people you are playing to as real people. People who get scared and stressed out and are trying to find love or just recovering from heartbreak and are ready to get back in the world again. Your job might be as simple as making them smile. So do that. When you talk to them at the venue, with your stage banter, and your songs – make them smile. Or make them feel at home. Or make them feel like telling you a secret. Or make them feel amazed and in awe. Make them feel like it’s okay to cry. There are so many ways this could go, but when your attention is focused on what change you want to make in your audience, then your focus moves outward and you start to really connect. You don’t have time to be nervous because you’ve got a mission to fulfill! Bottom line: Make your audience’s life change for the better and they’ll never forget you, and you’ll be all the better for it psychologically. You’ll take the focus off of you and put it where it belongs, on to helping them. And, as the Queen of Vocal Health, I can’t help but offer up another secret weapon. Over the years I have used this remedy myself and with my students. It has proven extremely helpful time and again. To soothe your jitters pre-performance, try using the homeopathic remedy Gelsemium that I find most artists have great results with (myself included!). To get even more detailed you can go to Online Homeopathic Remedy Finder to help you find your exact right remedy. Homeopathy involves identifying symptoms that are super specific to you. You can find these remedies at a natural health food store or Whole Foods. What’s your secret weapon? Share it with me in the comments below. 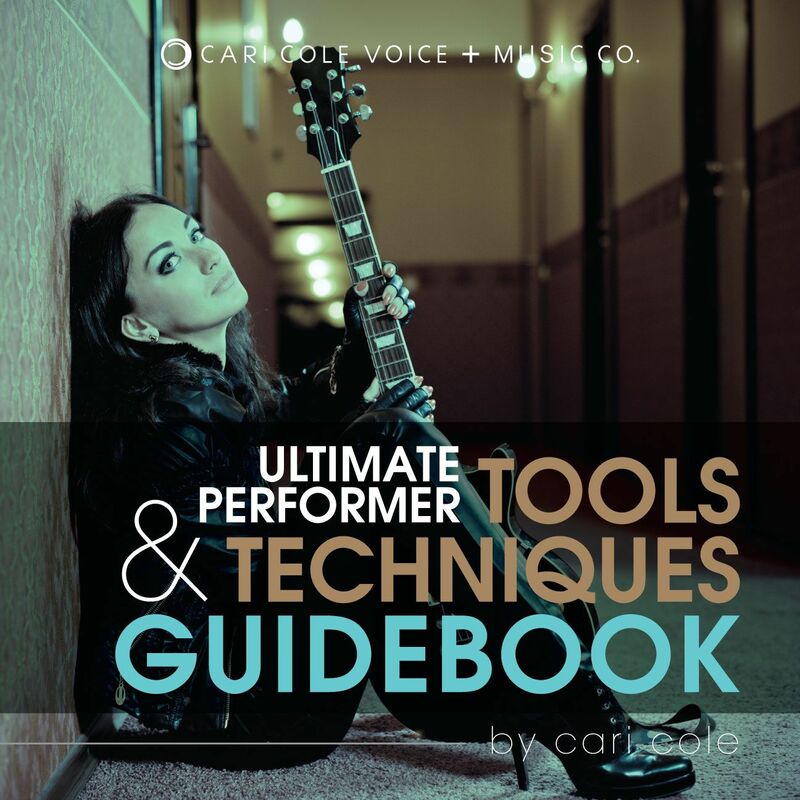 And if you’re looking to take a deeper plunge into radically shifting your performance mindset and preparation, check out my ebook: The Ultimate Performer Tools & Techniques Guidebook.. Because when you change your mind, you change your life.